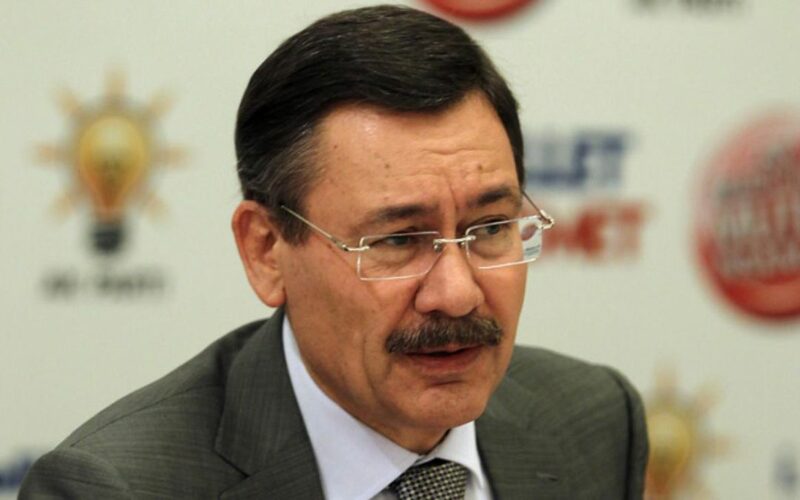 Mayor of Ankara Melih Gökçek wrote from his Twitter account on Thursday that regular citizens are armed and that a new coup attempt would be bloody due to the resistance of the people. Responding to a claim in the Islamist Akit daily that 800 soldiers are gearing up for a second coup attempt, Gökçek said people have bought themselves and even their children firearms. “This time the coup attempt would be bloody, and the people would not forgive it,” Gökçek wrote, reiterating his previous statements that private weapons ownership is on the rise in Turkey. Meanwhile, fear of a proliferation of private firearms with the encouragement of the government has been widespread in the country. A few days ago, main opposition Republican People’s Party (CHP) deputy Barış Yarkadaş directed attention to a photograph showing a rifle in the local branch of the ruling Justice and Development Party (AK Party) in İstanbul. In the photo, taken in the office of the Küçükçekmece district branch of the governing party, a rifle is visible next to the local party chairman, Mustafa Korkut, while he is chatting with the mayor of the same district, Temel Karadeniz. Questioning the presence of a rifle in an AK Party branch office, Yarkadaş asked why the local head of a political party keeps a rifle in his office. Yarkadaş described the situation as “gruesome” on his social media account. In separate instances governing party officials have been warned against a possible civil war in the event an April 16 referendum does not end in the victory of the “yes” votes. On Monday, Turkish media reported that Orhan Uzuner, the father-in-law of President Recep Tayyip Erdoğan’s son Bilal, had established an armed group to mobilize the public in the event of a new coup attempt. The people took to the streets to confront the coup plotters in July upon a call from President Erdoğan. Under the leadership of Uzuner, many groups have been established in the instant messaging application WhatsApp, and wireless systems are being set up in every district. Group members also get training on first aid from the Health Ministry and instructions on the use of unmanned aerial vehicles from the Civilian Aviation Directorate General. On Feb. 15, Sinan Oğan, one of four Nationalist Movement Party (MHP) deputies who were referred to the party’s disciplinary board for expulsion because they disagree with party policy regarding an upcoming referendum, said the AK Party has been giving arms training to shopkeepers in camps, the Sözcü daily reported. “We know that shopkeepers, especially grocers, barbers, bakers and the like, have from time to time been taken to camps for arms training since the coup attempt on July 15. They [AK Party] are making preparations for when they order those militias to attack the other part of society,” said Oğan in an interview with Sözcü.